Strength and technique of massage is adjusted to every client's individual needs. It means that same massage can look a little bit different depending on person. It may be as varied as our organisms are. The main feature of real thai massage is using hands, elbows, feet and forearms by masseurs. The main aim of massage with aromatic oils is relaxation and putting you into great mood. Oils gently massaged into your body would leave a nice feeling of smooth skin even for a few hours after treatment. Oil massage is the most relaxing one from all of the thai massages, which we offer. Treatment is dedicated for people dealing with problems due to sedentary lifestyle. The aim of massage is eliminating chronic and posttraumatic pains in spine. It also helps to reduce tension and pain in forearms and neck areas. It excellently eases tensed back muscles and eliminates headaches. Reflexology in Thailand is better known as feet and legs massage. During treatment masseurs use their hands and specially constructed wooden sticks. Feet massage done by our thai masseurs would improve blood circulation in legs and prevent varices. What is more, it also reduces tension of muscles and minimizes inflammations. Thai herbal stamps massage is a special combination of aromatherapy, thermic therapy and acupressure. This unique, traditional art of therapeutics has been used in Thailand since a hundreds of years. In all ThaiSun salons You are able to experience firsthand typical thai solution for cold and tiredness. Warm coconut oil massage makes skin more moisturized and velvet-to-touch. Vitamins and minerals nourish skin and antioxidants rejuvenate it. Massage strengthens the immunity and regulates blood circulation. It's amazing treatment for skin, but also for whole body and soul. Massage for two is unique experience, which we can share with our closest people. Double room ensures full comfort in every kind of massage. Our best masseuses from Thailand will take care of the highest quality of the massage. Spending time in unique atmosphere of our ThaiSun salons is not only pleasure, but also a way to regain your internal harmony and a chance to experience best thai physiotherapy. Candle massage is waiting for clients of our ThaiSun salons as a soothing and sensuous experience. Candle made of 100 % natural waxes guarantees blissful relaxation and proper moisturization of skin. After treatment skin'd be silky smooth and soft. 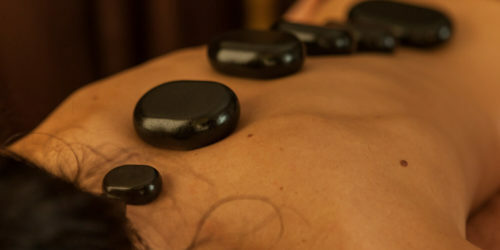 Hot Stones Massage is an ideal way to relax. It's beneficial influence on mood and overall function of organism is known by many people. Not everyone is aware of additional effects, which provide oils. Substances from oils get deeply into the skin, moisturize and regenerate. Royal ThaiSun massage is a combination of 10 years of our practice and almost 100 years of thai tradition. It’s made with knowledge about what our customers value the most in massages. Royal thai massage is a fusion massage, which includes some unique techniques. Let us take care of you during that important time, which is the first phase of maternity. It's the time when your body needs the most attention and proper care. It's worth to spend some time and convince yourself, how helpful can be relaxing massage. We provide a diversified menu of thai massages so You can pick the perfect one for You. With healing and relaxing abilities each one of our massages has something to offer. In tremendous care for highest quality of massages and SPA treatments we hire only the best thai masseuses that are trained in all types of massages.